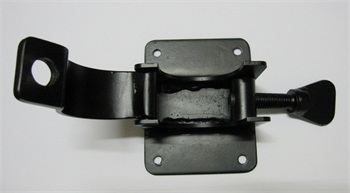 HAI TONG manufacture various types of metal clamps or metal brackets with metal stamping processes inhouse, to hold the metal control body and receiving system body on agriculture machinery. 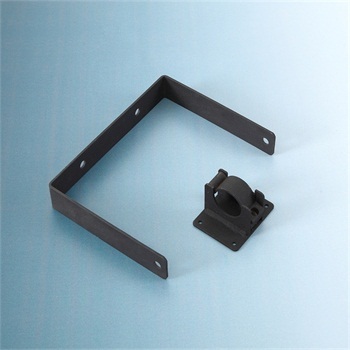 This stamping brackets are made with carbon steel with 3.0mm thickness by blanking and bending, then powder coated in black with sandy texture, it will be fixed on both sides of the control body with M10 screws, then the whole body will be held on the agriculture machinery. It consists of several small metal plates which are metal stamped, they will be TIG welded on the bottom plate and use butterfly screw to fasten the receiving system body on the machinery. 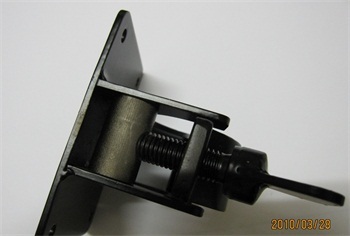 Type of welding TIG welding,the square bracket will be TIG welded together piece by piece. 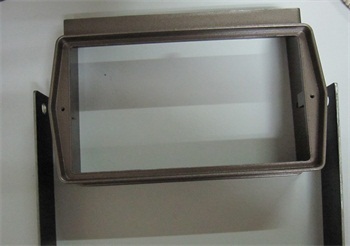 Surface finish powder coating in black, different colors can be available.